Aging is inevitable but how you age is not. You can be 20 years older or 20 years younger than your chronological age. The difference lies in the choices you make. Healthy aging can be easy. Nothing shows your age more than being off balance, slow to react and slow to think. These things not only show your age, they can result in injury, illness or accidents. Work on these and you can live younger and healthier. Challenge your balance by doing exercises that require you to shift positions and move and stand on one leg at time. Give full attention to the task at hand. For physical reaction time play sports such as tennis, ping pong, catching a ball or other activities that require a quick response. For mental reaction time, practice drills for math, spelling, pattern recognition or use a computer program such as Lumosity. Keep your arteries clear and your heart pumping. This provides vital nutrients to your brain. Healthy aging is controlling cholesterol to keep your arteries open and flexible and exercising to pump nutrients and maintain heart health. Feed your brain what it needs. The brain loves healthy fats and despises sugar and grains. Choose anti inflammatory fats such as fish, olives, avocados, nuts, seeds and any of their oils as well as a variety of fruits and vegetables in every color of the rainbow. Decrease inflammation and oxidation. Control blood sugar. Sugar and grains inflame the brain. Supplement with DHA, a component of fish oil, since the brain is over 60% DHA, Use green tea extract (EGCG) and broccoli seed extract (Sulforaphane), turmeric or its active ingredient curcumin and pterostilbene. Exercise your brain. Healthy aging requires you to use your brain in different ways. Learn new skills such as a language, art, dance, and music. Recent studies showed that people who pursued artistic endeavors slowed the onset of cognitive decline. These are just a few of the many aspects of healthy aging. 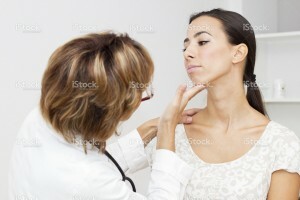 To get a thorough understanding of your weak spots, schedule an anti aging Executive Physical and turn back the clock.